First off, I make my way to Plaça d’Espanya and take a brief moment to admire the enormity of the old bull ring, which makes for an impressive sight. I stroll down Avinguda de la Reina Maria Cristina towards the “Magic Fountain”, enjoying the spectacle of the miniature fountains dotted the whole way along the street. At the end, I climb the stairs to the Museu Nacional d’Art de Catalunya, a magnificent building from which you can see the whole of Barcelona spread out before you. 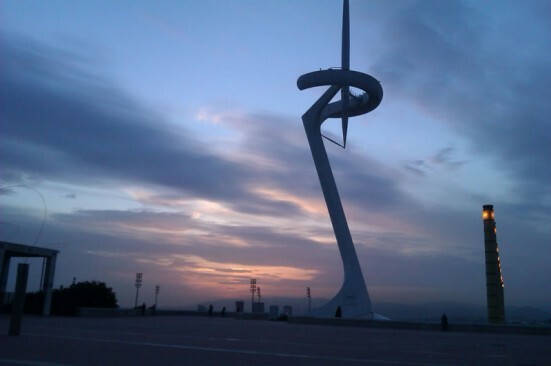 No matter how many times I see it, this view is breathtaking – one of the best in Barcelona. After a few photos, I wander into the museum to take in its spectacular interior and maybe take a peek at some of the exhibitions. If the view from the top of the steps wasn’t enough for me, I might take a lift to the rooftop of the museum where I’ll be able to take in even more of the city from a bird’s-eye view, from la Sagrada Familia to Tibidabo and even Barceloneta. Quite a romantic spot! I don’t dawdle too long though – there’s lots more to see. 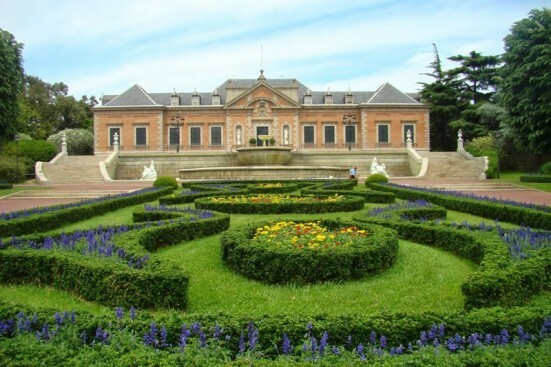 Once out of the museum, turn left and follow the path around to the back, where it leads off towards the Jardins de Joan Maragall. Depending on my mood I might wander into the gardens – being leafy and shady makes them the perfect spot to read a novel on a hot day. Usually though, I continue over the escalator and further up the mountain. At the top, I cross the road to the Olympic Stadium, where the Olympic games opening and closing ceremonies were held back in 1992. Beside the stadium is the Palau Sant Jordi, built-in the likeness of a tortoise-shell by Japanese architect Arata Isozaki. I’m not here to think about sports though – I’m here to see the views! With my back to the stadium I walk towards the terraced area where some of the most spectacular sunsets in Barcelona can be seen. The awesome abstract structure of the Communications Tower, built by Santiago Calatrava, can be admired up close from here and makes a great focal point for some amateur photography. By now it’s late afternoon, so I stroll around the park area and find a good spot to sit and eat my lunch, a delicious pastry which I’ve bought from my local panaderia, Calderón on Sepulveda. Next, it’s time for a little hike. Walking back towards the stadium I take a right turn and take a shortcut through the car park. A head of me I can see the ancient wall of the Castillo which lines the top of the mountain. I then take a left and climb the hill until I see the entrance to the Botanical Gardens. Here among the ferns and flowers I find what I’m looking for: peace at last! At the very top of the gardens, which lie on a steep incline, I take a moment to gawk at the impressive bonsai collection. After surrounding myself with so much greenery and beauty, I’m ready for more hiking. 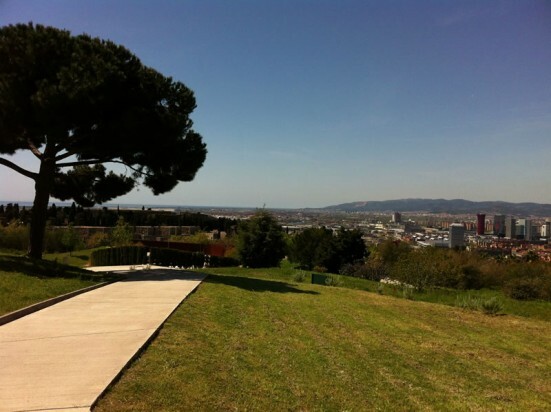 From the exit of the Botanical Gardens I take a right, then another right, and I’m climbing the mountain towards the Castillo de Montjuïc, an old military fortress that sits proudly at the top of the summit. Built in 1640 during the revolt against Felipe IV, the castle is the icing on the cake of my stroll through Montjuïc. It remained a military prison right up until 1960, when Franco had it turned into a museum. Today, it is stepped in Barcelonian history and remains a must-see. It’s the end of the day now and the sun is slipping lazily under its blanket on the horizon. For one final visual feast, I take the cable car from the top of Montjuïc all the way down to Barceloneta, where I finish my day with a glass of sangria. After all that hiking, I’ve earned it! 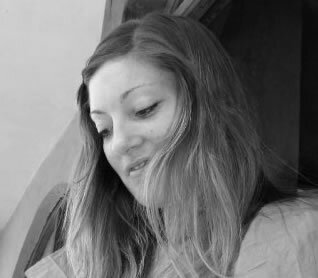 Rachel travelled around Spain last year but when she got to Barcelona, she knew she had found “the one” and decided to stay! She’s a digital nomad and a copywriter who is using Barcelona as a base to travel the rest of Europe. Barcelona is where she discovered her two great loves: cycling and street art. Follow Rachel’s adventures on her blog and Twitter. 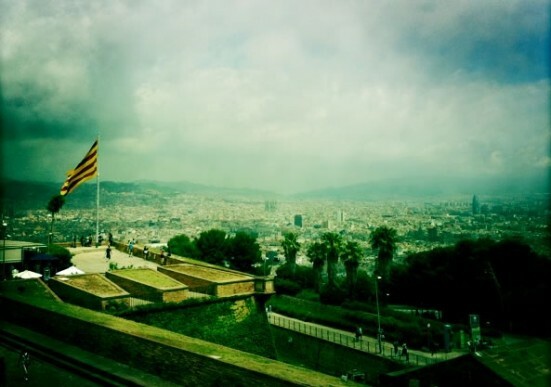 The views from Montjuïc look amazing. I’ve been to Barcelona once but am now regretting that I didn’t know about Montjuïc back then. Looks like a lovely place to visit. How long would you say that the walk up takes? Or alternatively what time did u start and finish your day mentioned in the article? Hi Dee! To get from Placa d’Espanya to the museum, it takes just five minutes because there are escalators the whole way. From the museum to the Olympic Stadium is about a ten minute walk (again, with an escalator to make things easy). Then from the Olympic Stadium up the botanical gardens will probably take you another 10-15 minutes walk, and from there it’s another 10-15 mins up very steep hill to the Castillo. The good news is that you can actually drive up Montjuic and this should be quite cheap to do in a taxi! You can also go to Barceloneta and get the cable car up the mountain instead, which is about 7euro. Enjoy!! 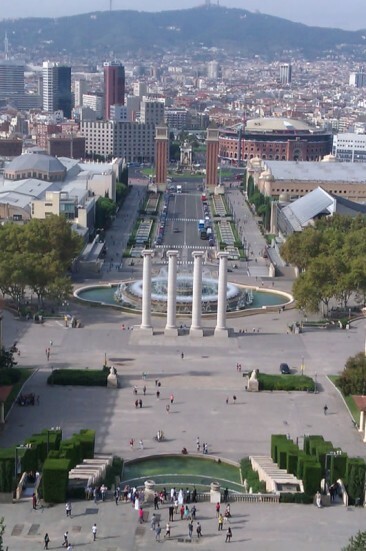 Wow look at those views from Montjuïc look awesome. My friends just got back from Barcelona and Sevilla but didnt tell me about Montjuïc. When I go in October I will definitely be checking this place out.